So, a few weeks back I got to know about the Vista D90 promo being run jointly with Blogadda, and one thing led to another, with my eventually getting to spin the Vista D90 around for a couple of days. 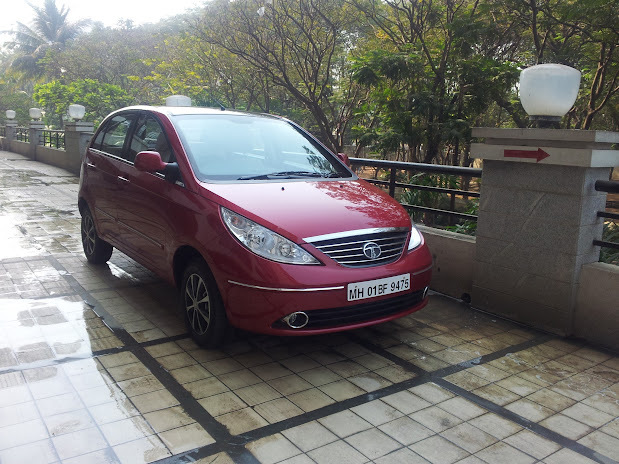 T&C – few tweets and FB posts, followed by a blogpost reviewing the car. Expressed intent behind the initiative– instead of the “expert reviews”, the Vista team wanted a “user review’ of the car and they wanted to reach out to bloggers who apparently have a decent enough reach and audience. So, if you were to search right now, there would be a fair number of bloggers (about 30 I believe) who’d be talking about their experience with Vista D90. The promo itself, I believe, is a great idea. Subject to you having enough clarity about your target audience. It’s a contest that should work quite well for the younger audience where a sizeable number might be looking to buy their first car. That’s the point where the opinions of people around you matters a lot. And I believe that me having posted random tweets and fb statuses and pictures about the car would at least remind you that there is another car that you may want to look at within your consideration set. Irrespective of your existing opinion of Tata’s car-set. The car now. Bunch of positives. Few negatives. And from there, it would depend on the relative pricing within the segment, and a bit of customer friendliness. On the positive side, the engine is powerful, and delivers good acceleration. The thrust you feel, if you’ve been driving Maruti all your life (with the exception of Swift), might rattle you the first time. The car spikes on you in traffic. And that is the single biggest USP of the car. The handling and control you feel while navigating stiff traffic is also very zippy. It’s a good car if you want to drive rash. And explains why most Indica/ Vista drivers on the road are so rash. It’s makes you feel comfortable as you cut your way through the traffic. The car feels very solid and stable, especially at 40+ kmph speeds. 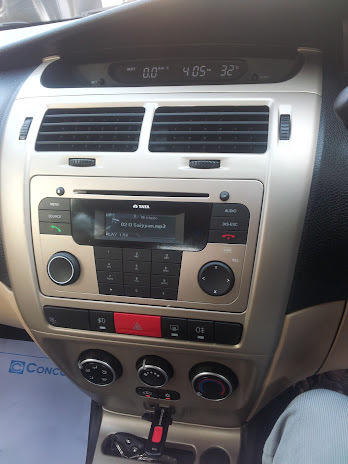 All of you who have grudges against Mumbai roads where the smoothest of the roads isn’t smooth enough, and your car makes you feel that vibration quite a bit, this one holds you quite stable and still. I also liked the seat. The lower lumber support is helpful. Compared to the earlier Vista variants, this one seemed a little sharper in design. Slightly longer nose, and somewhat better rounded outer body. The alloy wheels looked good. More importantly, the turning radius was good. Had no problems taking sharper U-turns in and around the place. The ground clearance (which becomes a factor if you drive a City or a Cruze or one of those cars) is right, given the number of speed bumps it avoided near my apartment. It still needs to be tested in Bangalore though! The triple barrel headlamps looked quite impressive, though the same cannot be said for the depth of light in high beam mode. Good fog lamps. OVRM, follow me home headlamps, blah blah – technical razzmatazz to position the car as a premium hatchback against jazz et al. And most of them have been executed well. The dual color design also can be used as a way of keeping it interesting visually. Instead of the black that you can see in the image alongside, if it had been white, it would be pretty wicked, right? The USB/Aux points are conveniently located (I hate how they are located in my City by the way). And there is an additional charging point for the back seats, which is a rather nifty addition. The dashboard is a major improvement on most cars in the segment I’d think. Definitely way ahead of Maruti cars and Polo. I haven’t driven Brio so I cant compare. Better than Santro/ i10 for sure. It’s almost a big car feeling, the way it is designed. My guess is that it has been adapted from the Manza. The integrated Bluetooth works very well. Easily paired, it tends to connect well with your address book for instance. And the call controls are on your steering. The volume is good, loud and clear. The mic tends to avoid catching too much interference. And the car has been sealed rather well to cut out most of the outside noise. And it offers you a numeric keypad in case you want to dial a number from your memory rather than having to scroll through a handbook, for instance. The mileage is good. Having done a fair bit of the 140odd kms that I clocked on this one inside Mumbai traffic (including areas like Goregaon, Jari Mari, Kurla, Powai, etc. ), coming out with a mileage of 14+ is respectable. Considering it’s a diesel car, the economics are in your favor. On the negative, The first thing that you’d is the overall space. Not bad, but not the best in class. It’ll probably not be a choice for taller people. And if you are tall family, it’s a no no. Because the passenger seat has a space issue. The storage box comes quite low and tends to hit your knees if you’re tall. The back seats are average/decent leg space, which will work for an average Indian family. The boot space/ dickie is small. Smaller than the Santros/i10s of the world I’d think. One way to overcome this is a smart move from the guys – a 60-40 seat split at the back, So you can fold away 60% of the back seat and create extra storage space for a 3 member travel. The car feels very heavy at lower speeds. A typical diesel car phenomenon, but in the case of VistaD90, its enough to put you off. The initial acceleration is quite noisy as the engine makes a bit of a rattling sound. Once the engine settles down, it’s a lot more pleasant, but the first few minutes might push you on the negative side. It is definitely not a car meant for women. Even though I come across as a sexist saying this, but that level of effort at gear 1 is not something that I have seen most women appreciate. Most of them tend to prefer cars that respond well to them at low speeds. That’s also going to be one reason why the conversion rate between test-drives and sales might end up on the lower side for this car. If Tata’s provide test drives they should ensure that people get to drive it on a secluded stretch at least once. Once you’ve taken the car to 80-100 range, you start seeing the real strength of this car. 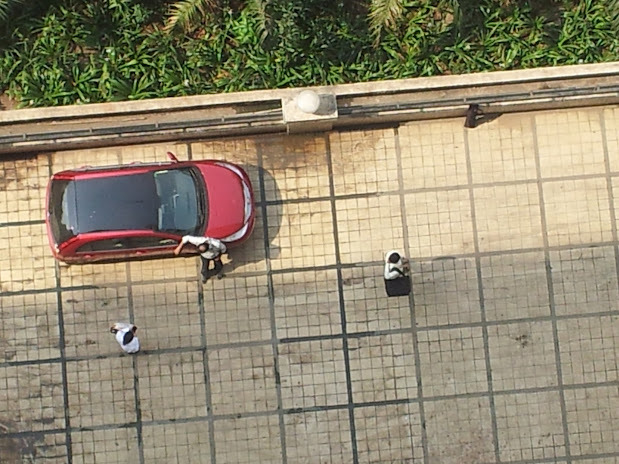 But most test drives tend to stop at <40kmph, and in that range, this car will not impress. The interiors need some work. 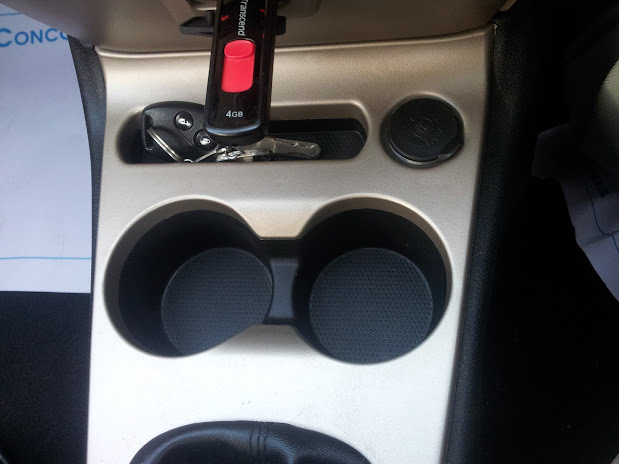 The cup holders are tiny. They won’t hold a bottle. And incremental small stuff storage space is negligible in this car. Even my Maruti 800 had better storage options a decade back. The side storage in the doors is good for toll receipts, some papers, etc., but not smart enough to either hold CDs very well, or a bottle of water. People sitting in the back have no holder options. The music experience is average. With 3-4 presets, you almost invariable want to switch off the presets and listen to the base. The bass is bad, and at louder volumes, the sound cracks. The speakers are in-the-doors, and the overall acoustics is not that bad. I just think that they should have gone in with better speakers and audio systems to maintain the premium feel. A small noticeable glitch – typically, when my phone is paired with a car, and I am navigating on the maps, then the directions are audible through the car stereo. Here, you have to switch to BT streaming to be able to hear the instructions. Which also implies that you have to switch away from the music, unless you use your phone to stream the music as well. Perfect for iphoniacs, but not for everyone. Probably because of the newness, I felt the gear transmission between gear 1 and 2 to be quite stiff. Also, the reverse gear. But that should improve. Endnote: The real USP of the car is the power and thrust. The stability, responsiveness in traffic etc only add to the experience. The real negative is the early stage noise/rattling sensation and the space issues. Otherwise, for people looking for powerful drive at a reasonable value for money, this could be a decent buy. Happy to drop more points if someone is interested. But overall, good fun experience.